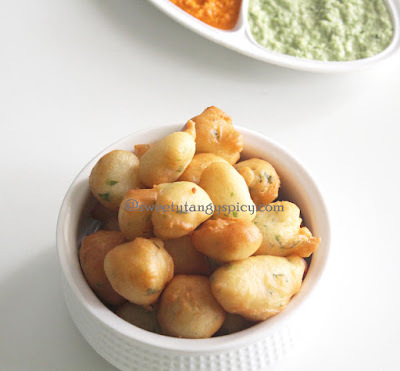 Goli baje or Goli bajji is one of the most favorite and most popular dish among Kanadians. 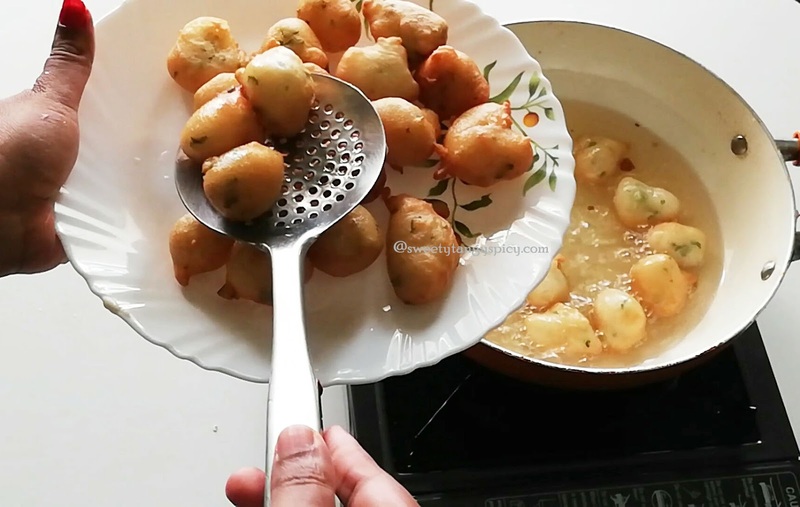 It is also known as mangalore bajji or mangalore bonda. Yes, it is a very common dish in almost all mangalorean restaurants. These mouth-watering crisp bajjies are served with coconut chutney. For me, it is one of such a dish which I liked and connected with many memories of our Mangalore life. One of our family friends who introduced this dish to me, Yeah , of course they are fond of this dish. 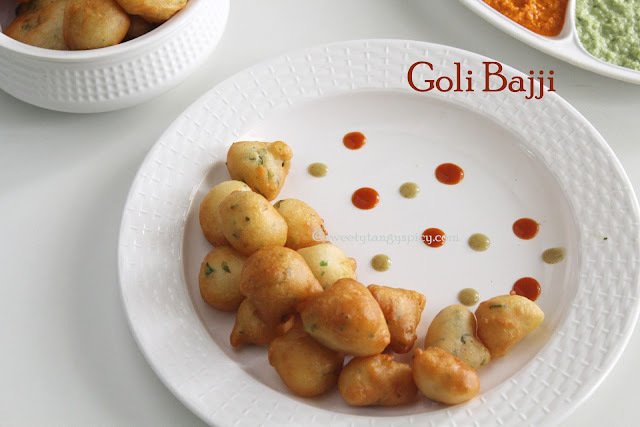 Goli bajjies has two versions, sweet and savory. Today, in this post, I am sharing the most common version, i.e, savory version of bajjies. I think, sweet version is not as common as this. Goli bajjies have a nice crispy outside and soft inside. 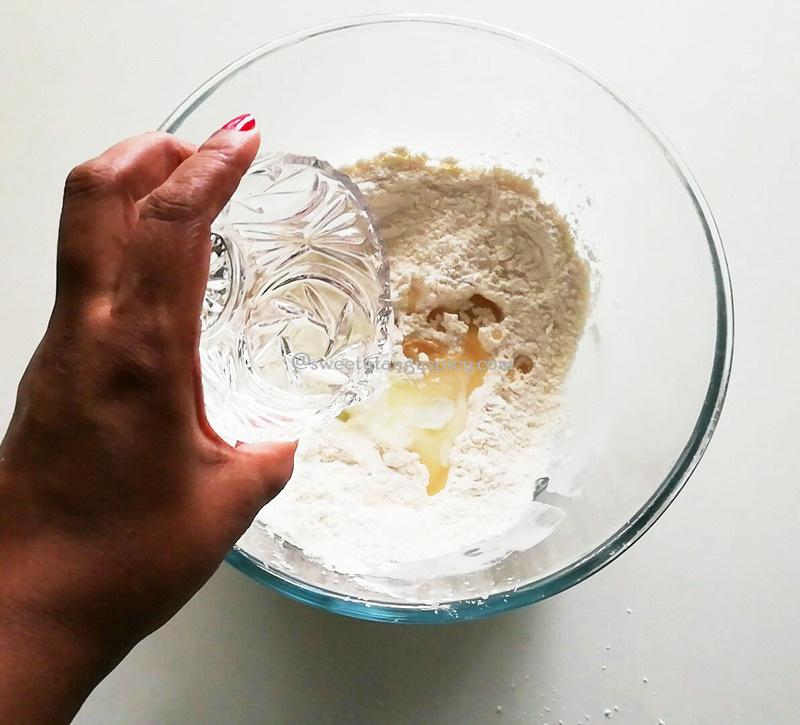 To give this crispiness, I used some rice flour and a few teaspoons of oil. As we all know, the use of one or two tablespoons of oil in bajjies gives a nice and beautiful crispiness and color. 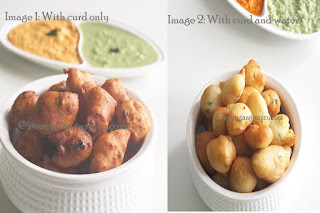 Gole bajji can prepared with curd only. 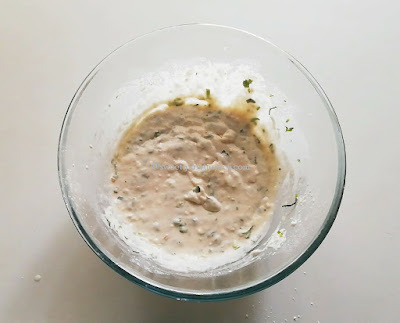 Here I used curd and water because in hot climatic condition if you try with curd only it comes out too sour after the resting period. You can see the difference in the following pictures. Also, I used some oil in the second recipe. 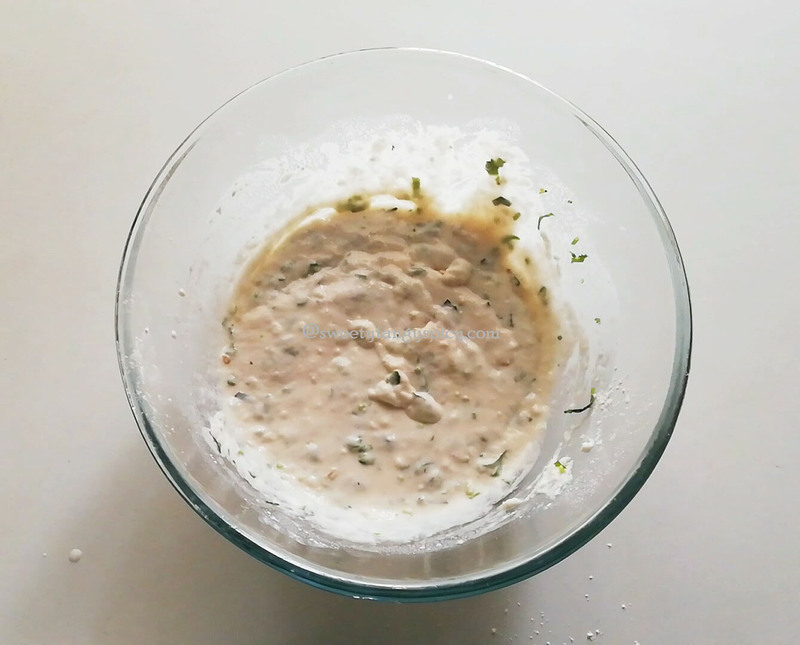 If you want to use curd only, but make sure that the climate is not too hot and also the curd is moderately sour. Finally, one more tip, be conscious while adding salt. This recipe demands, a little bit low amount of salt than normal. If you use more salt, it will suppress its original taste. Measure and take all the ingredients given above. Wash ginger, green chilies and curry leaves thoroughly with fresh water. Remove the skin and chop ginger into small pieces and keep aside. Remove stalk and make a long slit through the center of the green chilies and chop into small pieces. Discard the root of coriander and chop into small pieces and keep aside. Take all purpose flour (maida), rice flour, salt and sugar in a bowl. Rice flour will give a beautiful crispiness to your goli baje and sugar will balance the entire taste. 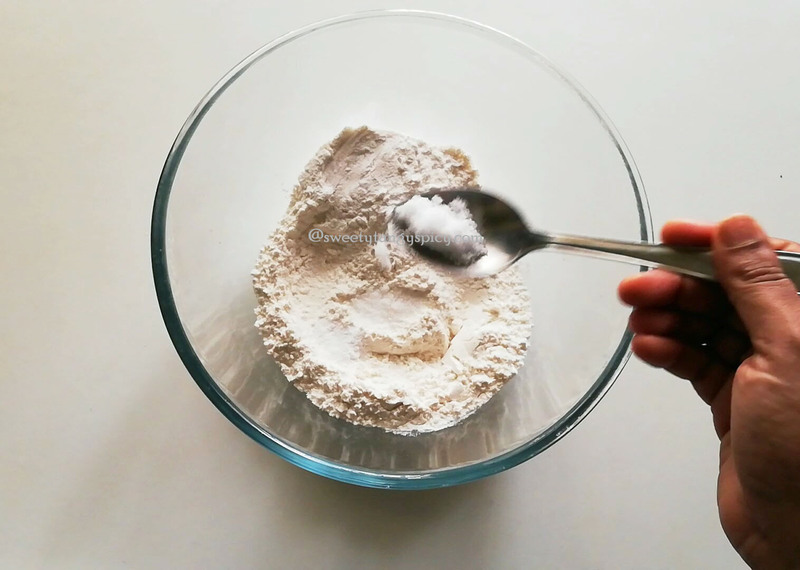 Give a light stir so that all these ingredients mix nicely. Then pour two tablespoons of oil. 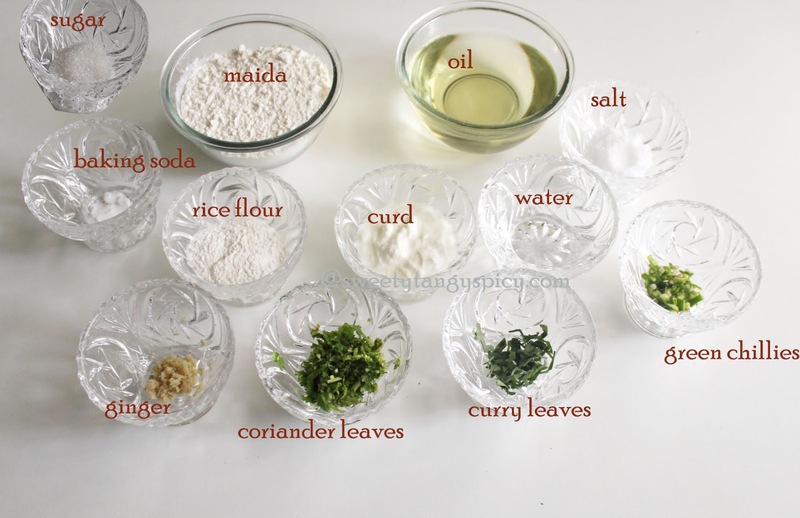 This will also provide a crispiness and shine to your dish. So please don't avoid. Next, add curd. 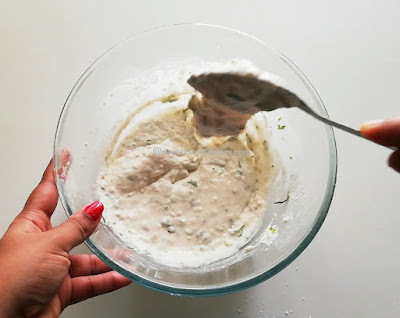 For this recipe, I used 3/4 cup curd in total and I added this in three batches. Mix well so that it gets a semi-thick consistency. 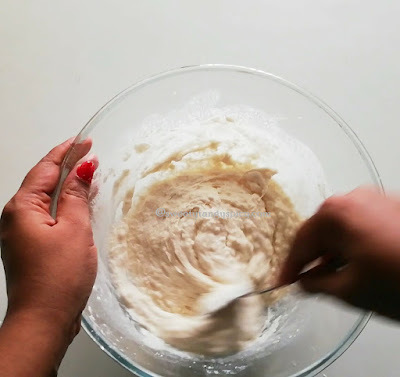 Also make sure that the batter is lump free. 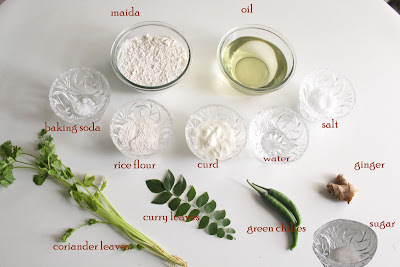 This is the time to add chopped spices, ginger, green chili, curry leaves and coriander leaves. Please adjust the amount of green chilies according to your tolerance. 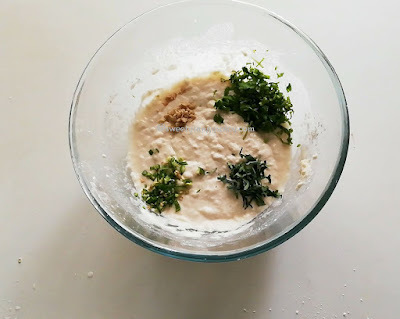 Mix well and leave it for another 1 hour. After that we can make goli bajjes. After one hour, the batter will be a little bit loose. Heat oil in a pan. When hot, reduce the flame to medium. Then take a small portion of the batter with your right hand and gently drop in oil. If your batter is at right consistency and the oil is hot enough, then the bajjies will puff instantly and will turn upside down by itself. 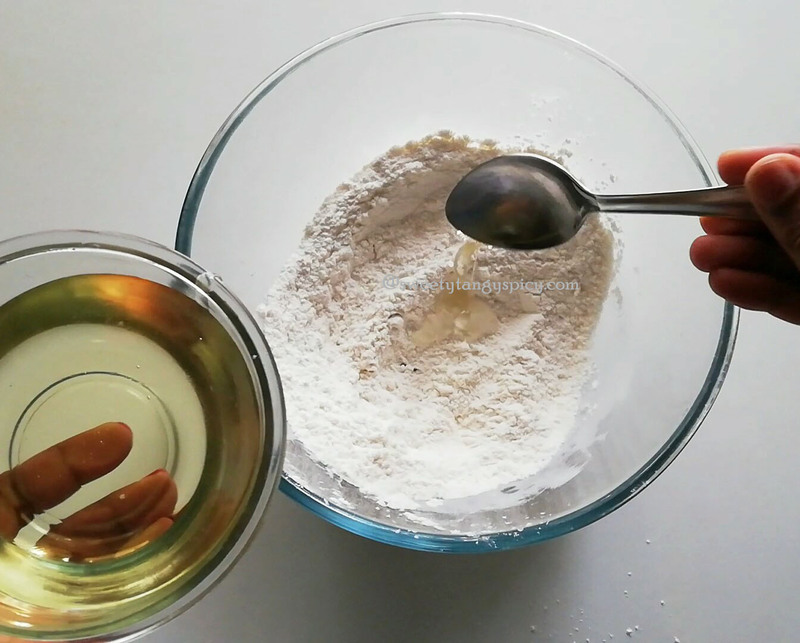 Once it comes to light golden brown shade, remove from oil with a slotted spoon. 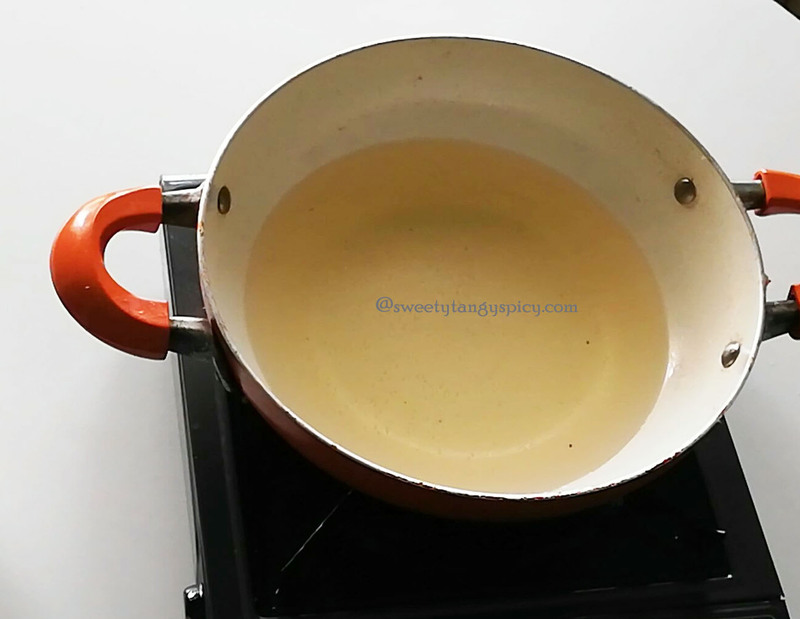 This bajjies will cook a little more after removing from oil due to the heat present inside. So take care to remove just before the bajjies gets its real colour. The goli bajje is ready. 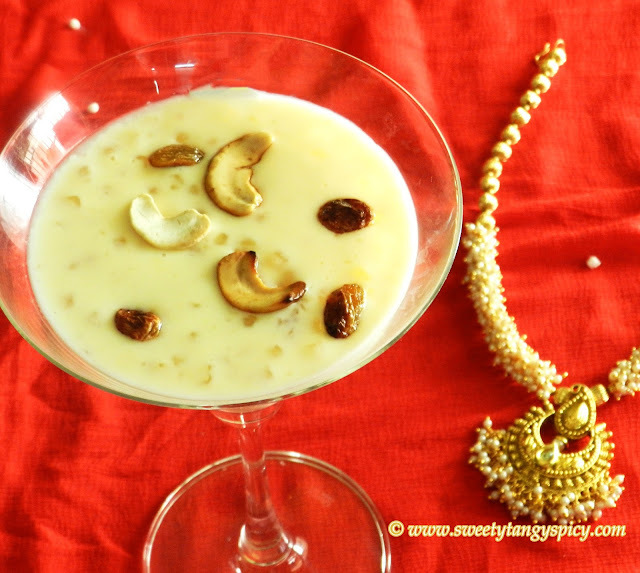 Serve with coconut chutney and enjoy. 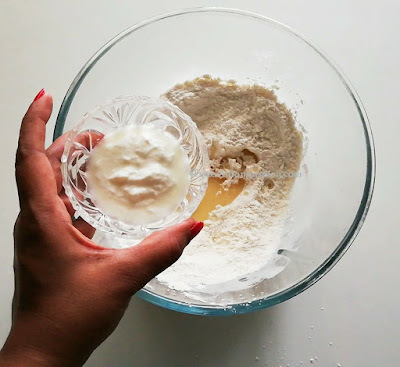 Substitute half curd with water, if you have a hot climate. 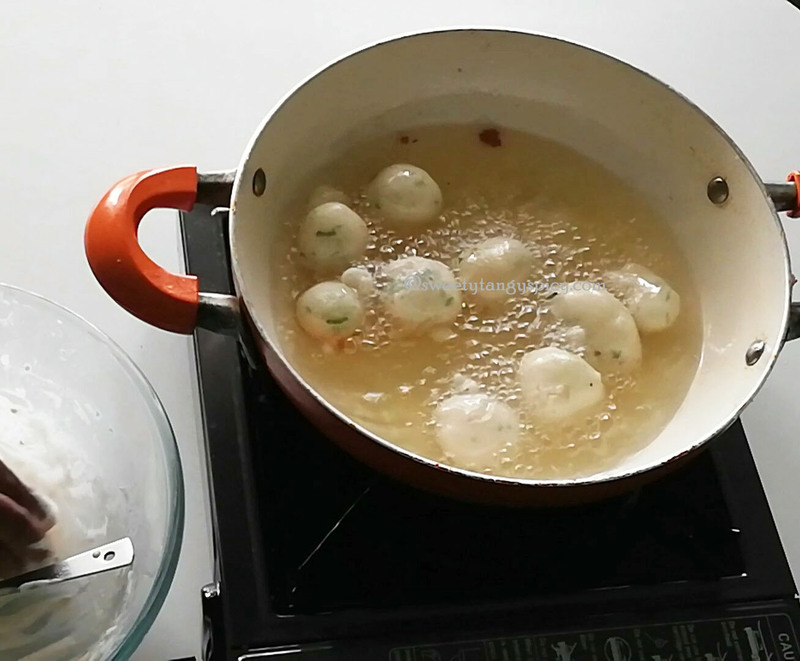 Make a batter in semi-thick consistency, otherwise, the bajjies will end up with tails. Use a pinch of sugar to compensate the sourness.